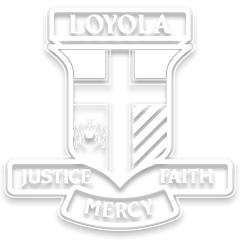 As a Community College, Loyola College encourages all parents to be involved in the life of Loyola in some way. For information on what Loyola offers in the way of parental participation, please contact the Community Liaison on 9433 0228 or email CommunityLiaison@loyola.vic.edu.au. A committee of past students meets regularly to discuss ways of supporting the students and families of the College, through sponsoring scholarships for incoming students. They also work to develop the relationship between past students and the College by producing ‘The Companion’ newsletter. Annual school reunions are organised each year for the 1st, 5th, 10th, 15th, 20th years etc. and ‘Back to Loyola Tours’ are also held on the same day. For more information about LCAA, go to the LCAA page. To express interest in attending a meeting or for information about a reunion, please contact the LCAA Secretary on 9433 0297 or email LCAA@loyola.vic.edu.au. The LPFA exists to support the College by fostering a caring community atmosphere within the College. It conducts various functions for social interaction, maintenance activities and for fundraising. The LFPA is self-funded through its own fundraising, most of which is returned to the College for specified requests. The Committee meets regularly and gratefully welcomes new members and fresh ideas. Loyola College acknowledges the contributions of volunteers’ time, gifts/talents, products and services. On those who go above and beyond the call of volunteerism, the College bestows Life Membership with the LPFA. For further details, please refer to LPFA Life Membership Criteria. Parent involvement increases not only the students’ success but also enables a fulfilling and accomplished relationship between Loyola College and each family. Most Parent Volunteer Roles on campus require a Working with Children Check, especially those roles conducted during school hours. For more information about LPFA, go to the LPFA page. To express interest in attending a meeting, please contact the Community Liaison on 9433 0228. The Grounds and Maintenance Committee works with the Facilities Manager to develop and implement planning for grounds and maintenance within the College. It can also assist with the organisation of Working Bees. For more information, please contact the Community Liaison or email CommunityLiaison@loyola.vic.edu.au. A large group of House Parents meets five times a year with the Principal and other senior staff to support the six Houses of the College. The House Parents are responsible for organising various House activities including socials, fundraising, the annual House Mass held in each respective parish, and the welcoming of new parents to Loyola College at the Year 7 Orientation Night. All House Parents are asked to attend the Partnership with Parents Committee once per term to discuss, inform and provide feedback on College and House activities. To express interest in becoming a House Parent and attending a meeting, please contact Community Liaison on 9433 0228 or email CommunityLiaison@loyola.vic.edu.au. Relish fine student-created dining amidst the monastic atmosphere of ‘Old Loyola’, a historic Jesuit seminary of the 1930’s. Click here to learn how you can indulge your culinary senses. To view the latest VCSPB Bulletin, please click here.